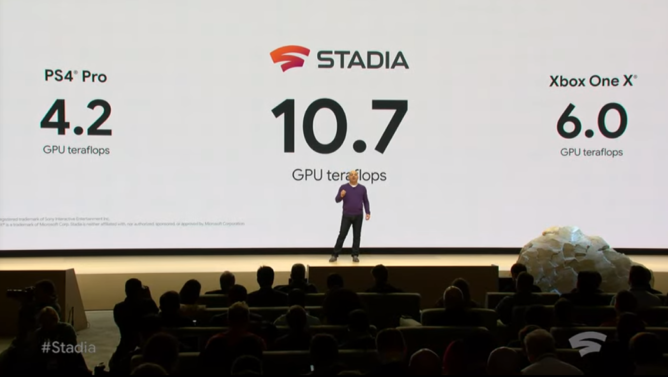 In case you're out of the loop, Stadia follows last year's Project Stream test, which Google views as a resounding success. 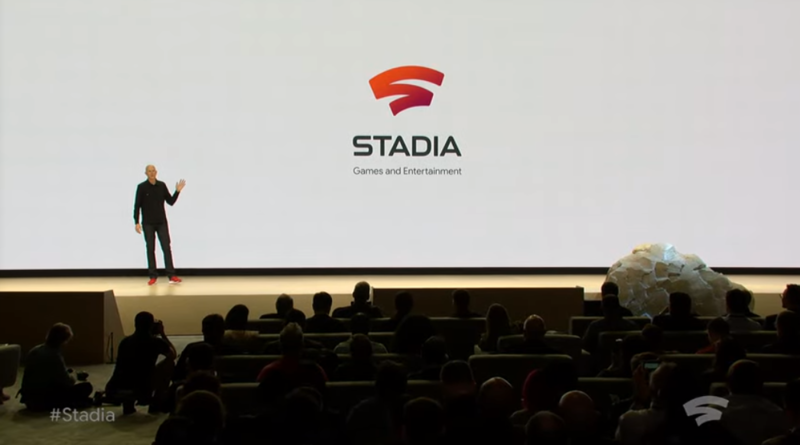 In essence, Stadia is Project Stream, delivering a similar game-streaming service, but done bigger, better, and with more features. 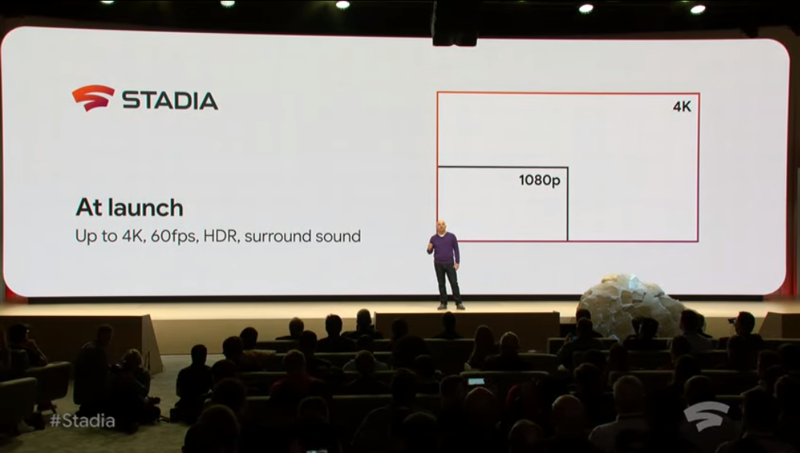 Like Project Stream, Stadia will allow you to play AAA games at super-high settings, with silky smooth framerates, at up to 4K resolutions — at least, to start. It works remotely, with the actual game being hosted on Google's remote servers, as it's streamed to your home. This all comes without a major investment in specialized gaming gear, too. Basically, this is Google's take on game streaming services — like those by OnLive, Nvidia, or Sony — but available on more and cheaper hardware. Notably, you shouldn't need specialized hardware at home to take advantage of Stadia. The streaming platform supports Google's Chrome browser, as you'd probably expect given its Project Stream heritage, but Sundar Pichai (Google's CEO) also mentioned other platforms, including the company's Pixel devices, with plans to support more browsers and platforms over time. "We are dead serious about making technology accessible to everyone," Sundar said during his section of the keynote. 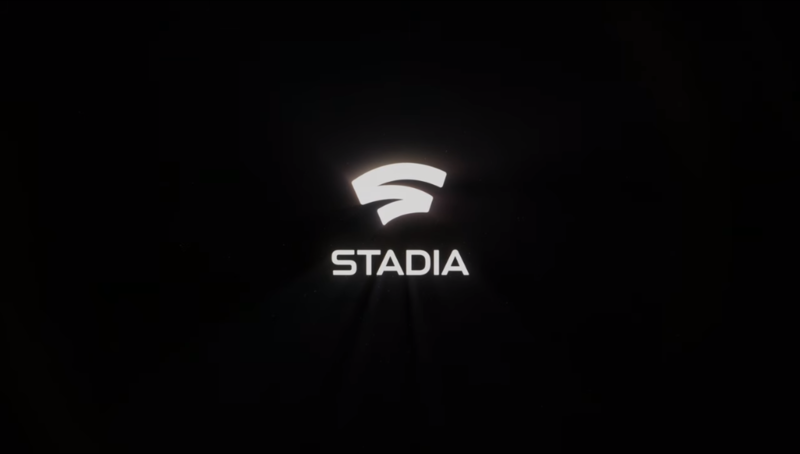 The company was able to do a live test of Stadia at the keynote on a Chromebook, Pixel, desktop, and a Chromecast, so at a minimum, those platforms are supported. You won't need to buy an expensive gaming desktop, or even a console, to use Stadia. When Stadia launches, it will support up to 4K resolutions, with additions including HDR and surround sound. 8K support is eventually planned, and Google touts the platform as flexible enough to deliver yet unanticipated changes to support future requirements and features. Google's expanded its data centers to better provide an optimized experience, for even "the most demanding games," and that includes fresh new hardware in those data centers. Stadia's stack, revealed on the Stadia.dev site, includes a custom 2.7GHz x86 CPU, custom AMD GPUs (rated at 10.7 teraflops), 16GB of RAM, and SSD cloud storage. Google pegs a "single instance" of its Stadia hardware as around twice as fast as current game consoles, and it can further scale beyond that for enhanced performance. The company believes its high-performance, distributed network infrastructure can both scale better, and deliver a lower-latency experience. 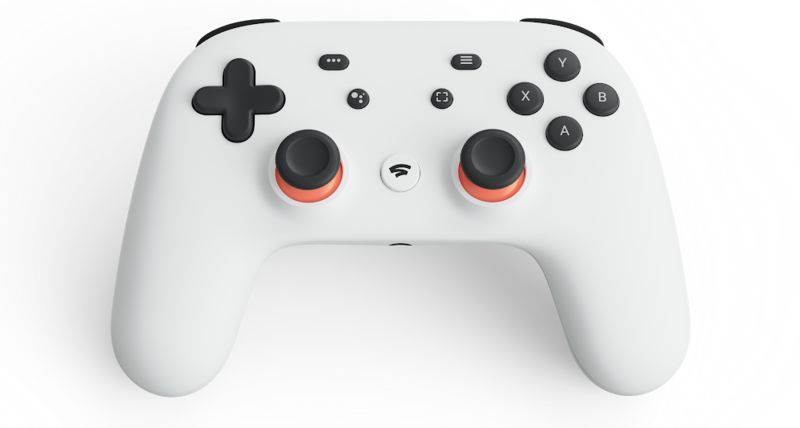 Google also revealed the previously leaked Stadia controller, which works with Stadia, though we only know a few things about it. Stadia's controller works over Wi-Fi, connecting to Google's data center network — the same place the games themselves run. Somehow Google touts it as able to identify the screen you're intending to use it with automatically, but that mechanism isn't described. It has a capture button and a Google Assistant button — more on both later. Hardware and software partners include AMD, Unity, CryEngine, and Havok. 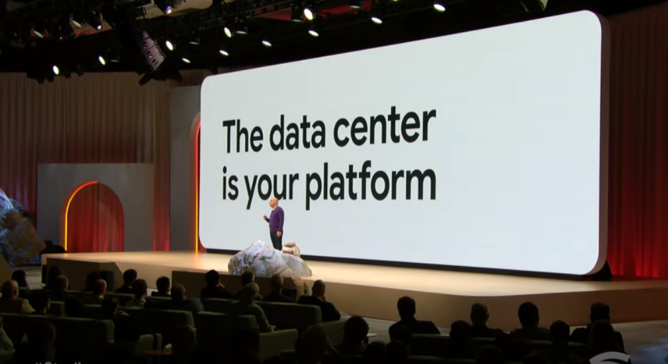 Stadia itself, deep in the recesses of Google's data centers, runs on Linux. The service provides near-instant access in as little as 5 seconds, with no updates, downloads, or installation process. It's "instantly enjoyable, with access for everyone," in the words of Sundar. "Full cross-platform play" will be coming, assuming game developers build support for it into their products. The company touts it as cheating/hack-proof, which is a strong claim. Presumably not having access to the hardware or software will at least make the job a little harder — though it could also kill mod support, unless developers build that functionality into the games themselves. Rather than sending your buds gameplay vids, Stadia will allow you to share the actual moment via something called "State Share," that allows your friends to see the moment replayed in real time, in-engine. They won't be watching a recording, they'll be watching the game itself. Simultaneous streams to YouTube directly from Google's data centers are supported, potentially giving Stadia a strong synergy for Twitch game-streaming types. They'll be able to capture, highlight, and share their gameplay directly from Stadia, reducing the difficulty and requirements for aspiring creators. A feature called "Crowd Play" allows viewers to even join games with streamers — that will certainly go well. Stadia isn't just a hardware or streaming solution, it's also a game development platform itself, providing developers with additional tools that can bring new and unique functionality. That includes stuff like split-screen games with no performance penalty, and other multiple effective "camera" features for unique gameplay and game coordination. 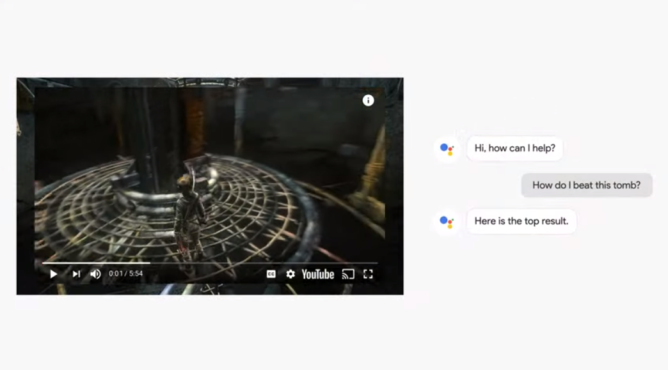 Google advertised potential benefits such a 1,000+ person multiplayer games; a feat made possible via Stadia's immense scalability. "Our goal is to make Stadia the most flexible development environment ever put together," said Majd Bakar, head of engineering for Stadia. To spearhead developer efforts on Stadia as a platform, Google is planning its own gaming studio: Stadia Games and Entertainment. Who else can better show off the features of the new platform than the people that made it? Google will also be offering developer resources and help for companies interested in making games for the platform. Interested developers can apply early over on the Stadia Developer site. Stadia will launch in 2019, though a precise date isn't set. Availability will be first in the US, UK, Canada, and some of Europe. More details will be coming in the summer. We don't know about too many launch titles, though ID touted that Doom Eternal will be coming to Stadia at 4K with HDR at a smooth 60fps, and Google made it appear as if RiME might be supported. Pricing, compatible games, and Stadia's full list of supported platforms at launch are still TBD.